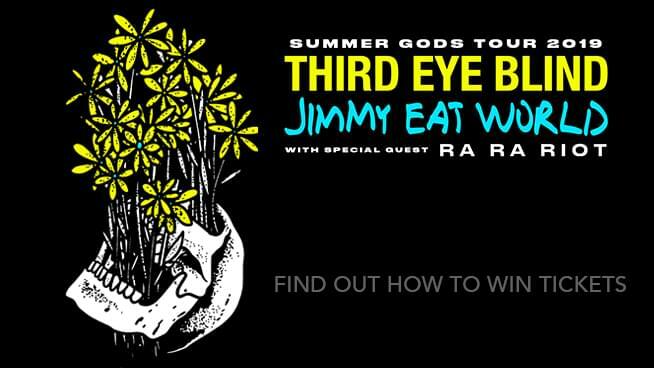 Enter for a chance to win two (2) tickets to see Jimmy Eat World and Third Eye Blind on Saturday, June 15th at the Bill Graham Civic in San Francisco! Furnished by Another Planet. Grab tickets and info here. Contest ends 4/30/19 @ 11:59pm. One (1) entry per person. Value: $120.00. One (1) winner will be awarded. ﻿Your browser does not support iframes. Please visit http://kfog.listenernetwork.com/Contest/8PQQPH.